Hiring you was the best decision we’ve made! When it comes to kitchen cabinet refinishing and cabinet painting in Hollywood and Hallandale, FL, we are number one! Kitchen cabinets may be one of the most immediately noticeable parts of a kitchen. Far more noticeable than the walls, cabinets line both the upper and lower visual lines of the room. Cabinets also get near constant use. Between changing interior design fashions, the hot, humid climate of Florida, and regular wear and tear, cabinets may be the first part of a kitchen to show use. Whether you are looking to update the look or your kitchen or bring your cabinets back to their original pristine appearance, kitchen cabinet refinishing and cabinet painting in Hollywood and Hallandale can help you refresh your kitchen without the hassle of a full remodel. At Artistic Refinishing, we can give your kitchen just about any look you can imagine in hardly any time at all. The city of Hollywood is named after the city in California; its founder dreamed of creating a motion-picture colony on the East Coast that would be as well known as the one outside Los Angeles. More than 150,000 people live in Florida’s Hollywood, which is known for its proximity to Miami and its miles of Atlantic Ocean coastline. The proximity to the ocean makes Hollywood vulnerable to high winds and rain from storms and hurricanes, while its hot humid climate means that homes which are not well temperature-controlled can be vulnerable to unsavory elements. Whether you are moving into a home with stained, damaged cabinets, or just want to update the look of the kitchen you’ve had for years, kitchen cabinet refinishing and cabinet painting in Hollywood and Hallandale homes a breath of fresh air. The kitchen, after all, is one of the most important rooms in the home. Meals are cooked here, company is entertained, families bond, and nourishment is created. Making the kitchen somewhere you love to be is something that benefits everyone in the home. As a South Florida company, Artistic Refinishing is intimately familiar with the frustrations of our climate. We have an A+ BBB rating, and have more than 30 years of experience in the area. 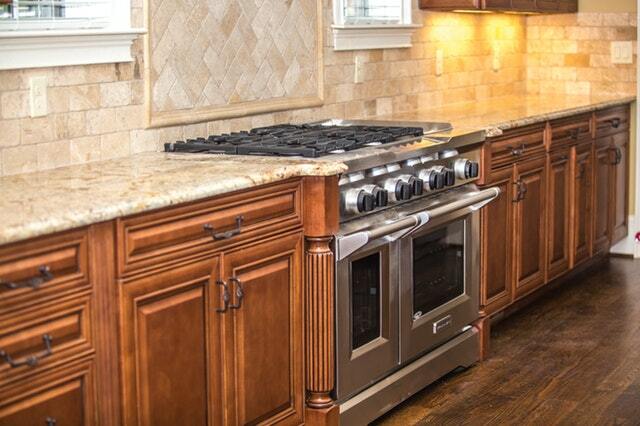 Our reglazing process not only updates your kitchen but also creates a superior nonporous surface. Remodeling a kitchen is a huge headache. It’s possible to avoid the financial investments and the time costs by choosing to refinish kitchen cabinets in Hollywood. At Artistic Refinishing, we believe that destroying something that is functional just because you’re tired of its look is wasteful and inefficient. By reglazing your cabinets with one of our high-quality finishes, you will save yourself time and money while giving yourself peace of mind. We are happy to answer any questions you have about the process, available finishes, and more. Reach out to Artistic Refinishing today to get a free quote and connect with a South Florida company that wants to help your home be as beautiful as it can be.